When it comes to music videos, filmmaker Andrew Colton knows that time is of the essence. With each music video having a different story to convey, there’s only a few minutes to set the tone, introduce the characters, and bring the story from beginning to end. The videos’ shoots are also short on time, with the artists often traveling due to touring or recording schedules. There’s no room for error or something will have to be cut, leaving the video’s story incomplete. For example, Colton had a vision for the music video of the main actress walking down a hallway while arms and faces reached through the walls to try to grab her. “We were able to achieve that by building a hallway in our studio that was lined with white spandex instead of walls. While we could have shot that elsewhere and created the same effects later through VFX, we were able to do it with practical effects here in the studio, saving us time and delivering the exact look we wanted,” he explains. Colton captured everything with an URSA Mini 4.6K, his go-to camera for shooting music videos. 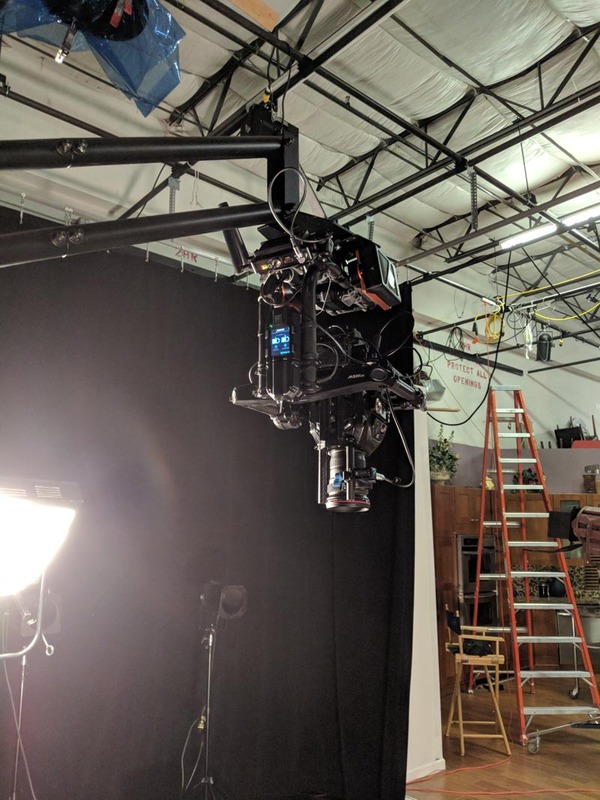 “Lighting for darkness is always a challenge with any cinema camera, but by using the URSA Mini 4.6K’s false color and zebra settings, I could tell exactly where my hot spots were and how much more fill I needed. The camera made it easy to check my exposure, so I was able to adjust quickly on set to keep production moving,” says Colton. 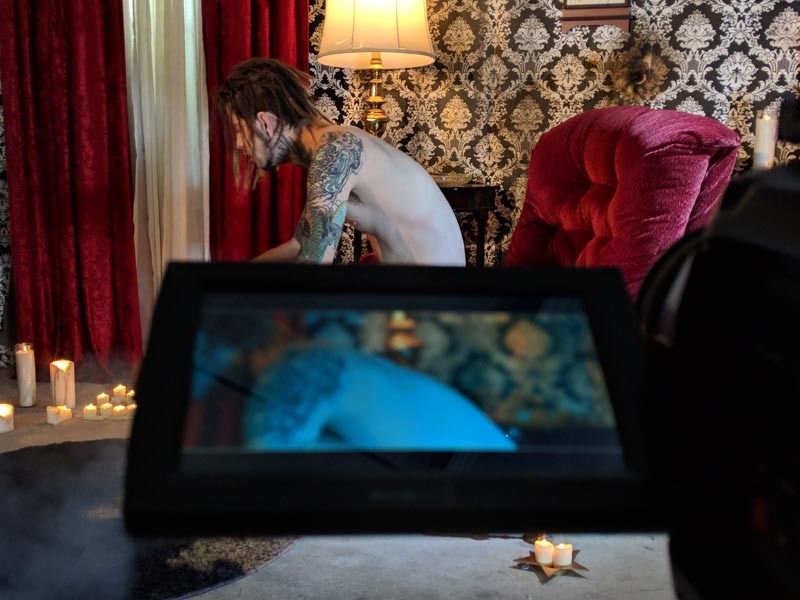 Colton shot the music video in RAW so he’d have more latitude in post, for which he used DaVinci Resolve 15 to edit, grade and do select VFX, while also using a DaVinci Resolve Mini Panel for grading. While Colton didn’t previously have a lot of experience with VFX, he was able to make a quick fix for the music video using DaVinci Resolve 15 Studio’s new Fusion page. “In the video, there’s a scene where the actress gets dragged out of the frame, and it unfortunately revealed some unpleasant wrinkles in the cloth below her. By jumping from DaVinci Resolve 15 Studio’s Edit page to the Fusion page, I was able to remove the wrinkles myself by tracking some cloned paint marks in a matter of minutes,” Colton concludes. For a look behind the scenes on the music video, visit https://www.youtube.com/watch?v=sEpxgqp2P5Q. To see the full music video for Plan for Panic’s “I’m Sorry,” visit https://www.youtube.com/watch?v=R785FHjtPXc. From a very young age, Andrew Colton knew his passion was rooted in making videos. After getting very serious about honing his craft at the age of 17, he decided to make cinematography a full-time career at the age of 24. He began directing for local South Florida artists, as well as successfully competing in several 48-hour film festivals. In 2010, he started freelance work for MTV, Billboard, BET, ESPN, and in more recent years, he completed work on his first feature film, “The Devil’s Tree: Rooted Evil”. Bolstered by his strong work ethic, dedication and drive, Andrew prides himself on his ability to see an artist’s vision and sculpt it into a collaboration without losing its original integrity. He looks forward to expanding his horizons in 2018 in both directing music videos, as well as feature films while staying true to his extraordinary talent and vision. For more information, visit https://www.coltonvisuals.com.